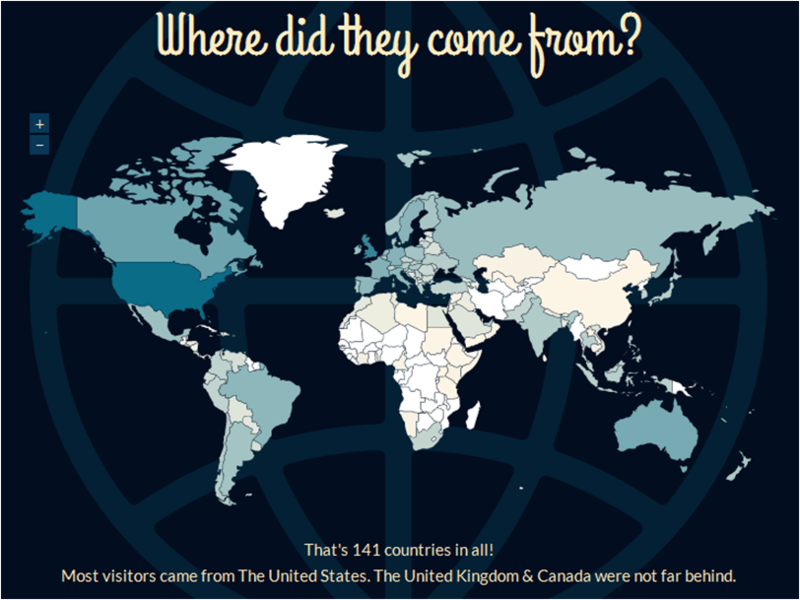 Anyways, in other old business…WordPress kicked me a report explaining the blog in 2013 – if you can believe it, 75,000 views over the twelve months? That’s about 205 views if split over 365 days – nice. I’ve cut the graphics from the report just for interest. Top posts? 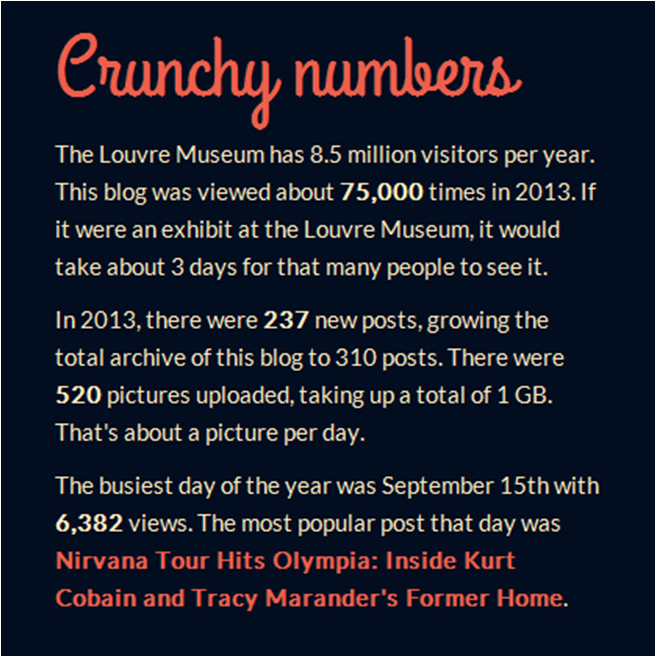 Strangely, still the one I did in 2012 showing Kurt Cobain’s girlfriends/wife in graphics and stats – sheesh…I suspect spam activity! The next was most views was the photos of Cobain’s house on Pear Street in Olympia – over 6,000!